Our Mission Statement: To promote and improve our quality of living, enhance our sense of community, and preserve the integrity of our small-town values. We are committed to providing excellent services for all citizens and businesses through constant improvement and communication. We strive to sustain the public trust through open and responsive government, and we encourage public participation from our citizens and local businesses. 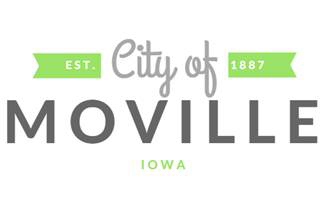 THE CITY OF MOVILLE WELCOMES YOU TO OUR GREAT COMMUNITY! * Remember to put garbage cans out Wednesday night as it gets picked up early Thursday. We extend our hospitality to those who come and visit. The citizens of Moville take a great deal of pride in our city. With our beautiful residential areas and our thriving business community, we have a lot to be thankful for. Our citizens enjoy clean and safe neighborhoods, wonderful schools, beautiful churches, excellent parks and some of the best health care you could ask for. If you are looking for a wonderful place to raise a family, Moville is the perfect place for you. Whether you are visiting or relocating, we hope you enjoy your time with us in Moville, IA. In our town we spend a great deal of our time focusing on the children in our area. It is our mission to ensure that each child has a positive, rewarding experience while participating in the programs that we offer. We know that it is important for them to learn the importance of sportsmanship, honor, and integrity. Preparing our children in all areas of life is what we strive to do everyday. However, none of this could be completed without help from the community. Parents and other family members have just as many ways to get involved as children do - so get connected today!